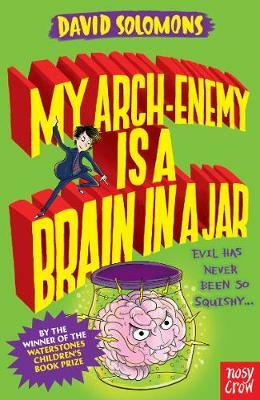 From the author of 'My Brother Is a Superhero', winner of the Waterstones Children's Book Prize and the British Book Industry Awards Children's Book of the Year, and 'My Gym Teacher Is an Alien Overlord', winner of a Lollies Laugh Out Loud 2017 Book Award. Luke has swapped places with his superhero brother, Zack, and has to battle in his brothers body with newly found superpowers against a brain in a jar. I was half way through but l couldn't finish it. I thought this book was quite long.The brain in a jar was a bad guy. This book is good if you like mystery and adventure. My favourite characters are Zack and Luke who both are twins and end up switching bodies. It wasn't very exiting and because it wasn't exiting i found it hard to read. Zack is my favorite because he has super powers.